The IMAGINE: A Better World, A Global Education Conference, hosted by Amazon Web Services (AWS), will convene education leaders for a unique learning experience. Presidents, college administrators, superintendents, and business executives will meet in Seattle to discuss the opportunities that face education, and how the AWS Cloud can be the missing piece to unlocking true innovation. This is a complimentary event for the education community, however space is limited. Please register to secure your spot. Teresa Carlson is the founder and leader of the Amazon Web Services (AWS) Worldwide Public Sector, and one of the most accomplished and forwarding-thinking technology leaders in the world today. Through her charismatic leadership, Carlson has helped change mindsets of individuals and organizations around the world, modernize policies at all levels of government, and cultivate a 21st century global workforce equipped with skillsets to leverage the cloud’s full potential to drive innovation. Carlson founded the Worldwide Public Sector in 2010, and since then has driven its growth. Today, more than 4,000 government agencies, 9,000 education institutions, and 24,000 nonprofit organizations around the world use AWS. Additionally, Carlson advises Amazon Public Policy on global policy issues. Carlson has also been a strong advocate for empowering women in the technology field. That passion led to the creation of "We Power Tech," AWS's diversity and inclusion initiative, which aims to ensure underrepresented groups - including women - are reflected throughout all AWS outreach efforts. Less than two years after launching the program, We Power Tech has engaged more than 1,000 individuals across 8 countries worldwide. Carlson has over 20 years of executive experience, and has earned industry recognition for her leadership. In 2019, she was inducted into the Wash100, a premier group of public and private sector leaders with expertise in the government space. Carlson is a Founding Board Member of the Halcyon House Board of Directors, and has previously been named one of Business Insider’s Most Important People in Cloud Computing, as well as Washingtonian’s “100 Most Powerful Women.” Northern Virginia Technology Council has named Carlson “Tech Exec of the Year,” and she is a recipient of the Ellis Island Medal of Honor, presented annually to individuals whose accomplishments in their field and inspired service to our nation are cause for celebration. Carlson dedicates time to philanthropic and leadership roles in support of the global community. This includes service as Chairwoman of the White House Historical Association’s Council on History, a member of the Greater Washington Board of Trade, a member of the International Women’s Forum, advisor to Georgetown University’s Hacking Defense Program, and an advisory board member of George Mason University’s National Security Institute. 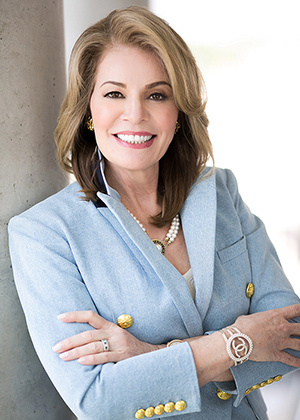 She also serves as a member of the International Center for Missing and Exploited Children Board of Directors, the Chairman’s Advisory Council for the American Red Cross in the National Capital Region, the Economic Club of Washington, D.C. Board of Directors, Northern Virginia Tech Council Board of Directors, Wolf Trap Foundation Board of Directors, and the USO of Metropolitan Washington Board of Directors. Prior to joining AWS, Carlson served as Vice President of Microsoft Federal Government, where she oversaw the company’s U.S. Federal Government business. She held a variety of positions at Microsoft, including General Manager of the U.S. Civilian Agencies and NGOs; Director of the U.S. Federal Solutions Unit, responsible for the Federal solutions framework and the U.S. Federal partner channel that consisted of more than 2,500 Microsoft partners; and U.S. Federal Director of Strategy and Operations. Before moving into technology, Carlson specialized in health care as a practitioner and consultant, then as a business manager and area vice president. In these roles, she was responsible for national accounts, marketing, and business development. During this time, she led customers through numerous transformations, including Joint Commission certifications and significant payment system changes. Andrew is the Managing Director of Global Education at Amazon Web Services. 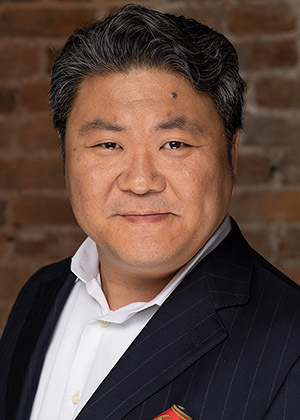 His focus is driving innovation with cloud-based programs and solutions for EdTechs, Learning Companies, Higher Education Institutions, and K-12 systems, improving student outcomes while enabling the workforce. Prior to joining Amazon, Andrew was the Corporate Vice President of Samsung Global Education and the European B2B division, based in South Korea, where he launched mobile learning solutions for education in Croatia, India, Italy and the U.S. Prior to Samsung, Andrew was the General Manager for Microsoft Corporation’s U.S. Education business where he led the Partners in Learning team in creating new and innovative ways for teaching and learning. He also led the White House ConnectED initiative, shaping a public-private partnership model to provide technology and internet access to millions in school. Andrew has several political appointments. In January 2014, Governor Terry McAuliffe appointed Andrew as a member of the Virginia State Board of Education and in 2016, he was appointed to the Virginia’s School Readiness Committee for improving the early childhood education workforce in the Commonwealth. In 2018, Governor Ralph Northam appointed Andrew to the Online Virginia Network Authority for the purpose of providing a means for individuals to earn degrees and postsecondary education credentials to online degree and credential programs. Andrew also serves on several boards, including the Northern Virginia Community College Foundation board and the Fairfax County Public Schools Foundation. Hear from higher education, K-12, and EdTech peers, as they share experiences and stories of innovations with cloud technology. Dive deep into your areas of interest, get inspired, and discover new best practices. We look forward to seeing you on July 10 - 11, 2019. For the latest agenda, please click here. If you have additional questions, please review our FAQ page, or contact us.